We're excited to share that Santa Barbara Wedding Style has featured our Lavender and Gold Wedding of Genny and Aaron. We loved our ceremony at Trinity Episcopal Church and outdoor reception at Elings Park. We can't wait to share more details and photos with everyone, so be sure to keep on scrolling! "Today's couple decided on a traditional ceremony held at the Trinity Episcopal Church and then chose to have an outdoor reception at Elings Park. 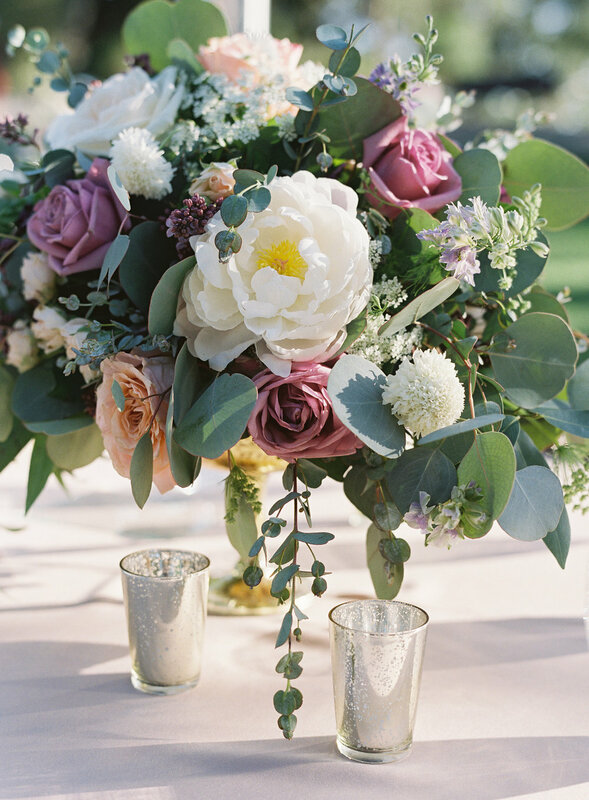 The bride carried a bouquet crafted by their planner, Burlap & Bordeaux, full of delicate creamy, white and shade of lavender flowers with eucalyptus tucked in among the blooms. The bride wore a perfectly simple off-the-shoulder gown and the groom a traditional tux paired with a white bow-tie. At the reception, the guests found their place settings composed of golden chargers, linen napkins and a sweet wedding favor box tied with a satin ribbon. Bella Vista Designs expertly hung market lights over the reception area which provided superb lighting as the sun set. Sugar Lab Bake Shop provided the tasty treats and a lovely two tier wedding cake which ended the day on a sweet note. All was beautifully photographed by Sara Weir." 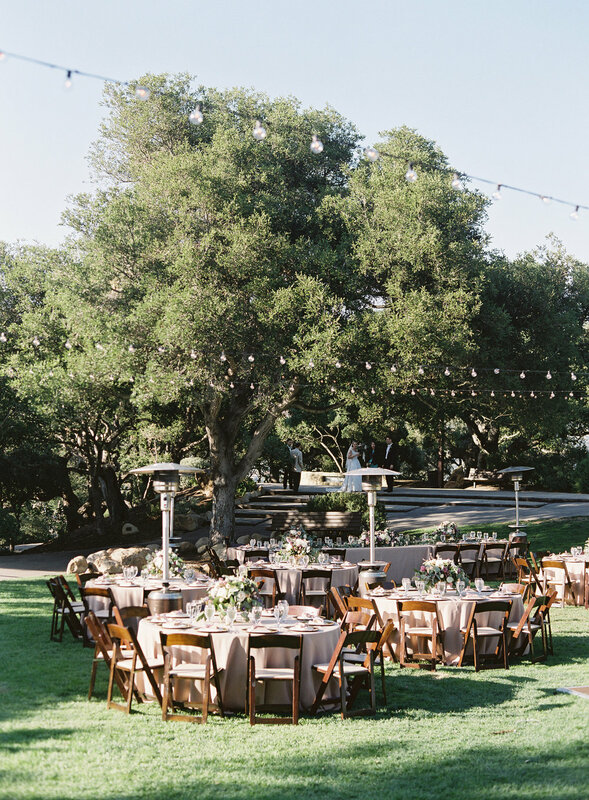 - Santa Barbara Wedding Style.